A Must-Have Accessory - People Magazine & The Today Show! The goes-everywhere mirror for the most selfie-aware. 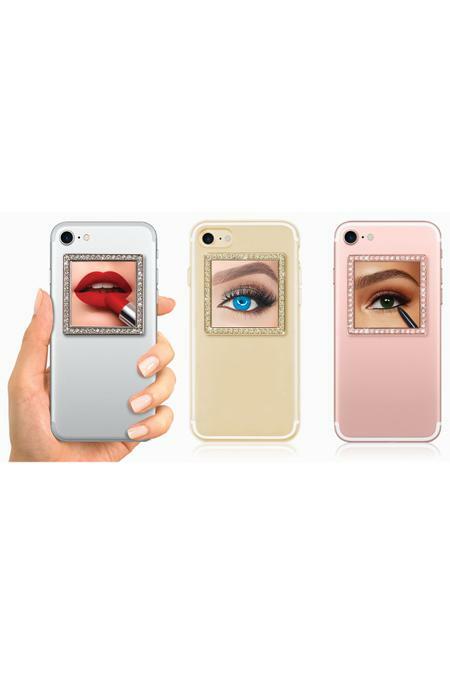 This covetable phone accessory lets you check your smile or touch up your makeup in a handy glance. Stick and peel, unbreakable design works with all phone models and cases regardless of material. Easy to apply just peel and stick. Adheres tightly on the back of your device or case. Removable and leaves no residue. Unbreakable real mirror. Works with ALL phones: Apple, Samsung, Sony, LG, HTC, and all others, Works with ALL cases: Otterbox, LifeProof, Mophie,and all others, Sticks to ALL materials: plastic, silicone, rubber, leather, metal and all others.